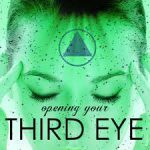 We have discussed the first two chakras so far, so now what is the Third Chakra ? The Third Chakra’s original Sanskrit name is MANIPUR CHAKRA. It is made of two Sanskrit words MANI (Jewel) and PUR (City), so the literal meaning of Manipur Chakra is City of Jewels. It is also called as Solar Plexus Chakra. Manipur Chakra or solar Plexus Chakra is located above the navel, at the base of the rib cage. It is said to be the home of fire or Agni. It governs the digestion and metabolism. Manipur Chakra has a bright yellow color.Manipur Chakra represented with an inverted triangle, depicting ten petals with ten Sanskrit syllabus on it. The ten petals are of dark blue/ black color,the ten Sanskrit syllabus on the petals represents the sadness, foolishness, delusion, disgust, fear, shame, treachery, jealousy, ambition, and ignorance in spiritual matters. 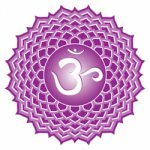 Beej Mantra is a one-syllable mantra, each syllable has its own vibration, when we chant or recite the Beej Mantra it positively affects the said Chakra. RAM is the beej mantra for Manipur / solar Plexus chakra. Manipur Chakra / Solar Plexus Chakra physically influence stomach, digestive system, large intestine, adrenal gland, pancreas, liver, gallbladder,metabolism and nervous system. 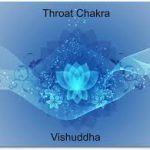 All aspects of digestion including assimilation of nutrients are controlled by this Chakra. It is the center of Self-esteem, willpower, and achievement. The physical symptoms of unbalanced Manipur / Solar Plexus Chakra can be seen as poor digestion, pancreas, liver or kidney problems, intestinal tumors, colon diseases, weight problems, diabetes. Underactive Manipur / Solar Plexus Chakra leads to the tendency of dependence on others, have doubts about self, need constant approval of others, low self-esteem,depression, whereas overactive Manipur / solar Plexus Chakra leads to dominance, anger, aggressiveness, workaholic, anxiety, hypertension. To have a balanced Solar Plexus Chakra is very important as many psychosomatic problems are related to dysfunctioning of this chakra. Psychosomatic disorders can be defined as “a physical disease that is thought to be caused or made worse by mental factors” e.g.stomach ulcers, high blood pressure, psoriasis, eczema etc. It is a well-known fact that the mind can cause physical symptoms when we are afraid or anxious, we may develop a fast heart rate, palpitations, sweating, headaches etc. Manipur Chakra is also related to left hemisphere of the brain. The left hemisphere of the brain control right side of the body and right hemisphere control the left side of the body. Left hemisphere also performs the task that needs logic, such as science and mathematics. The left hemisphere is responsible for words, numbers, analysis, reasoning, and language. On a metaphysical level, this chakra is related to CLAIRSENTIENT ability, it is the ability to sense the feelings and emotions of others. This is one of the psychic ability, some of the few are Clairvoyance, Clairaudience, aura reading, intuition, telepathy, Psychometry etc. Yog Sadhana : Asanas : Dhanurasana, Naukasana, Ardh Matsyendrasen, Trikonasana, Paschimottanasana,Yog Mudra and Surya Namaskar, as well as the regular practice of BHASTRIKA pranayama,ASHWINI Mudra and UDDIYANA Bandh is also very beneficial. 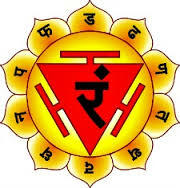 Mantra therapy : The chanting of RAM is very useful for the balancing of Solar Plexus Chakra. color therapy : The primary color of the Manipur chakra is sunny yellow, so using yellow color in wardrobe, jewelry, stationary, and in surroundings is of great help. Nourishment : Use of turmeric,yellow fruits like banana, yellow apple, yellow kiwi, sweet corn,sweet potatoes, pumpkin, is very useful. Crystal therapy : Citrine, yellow Jasper, yellow tourmaline, tiger’s eye, can be very effective while treating Manipur Chakra. Aromatherapy: Lemon Juniper, Rose, Rosewood, Sandalwood, Rosemary, can be useful while treating Solar Plexus Chakra. Affirmations : I digest life easily. Element : the element of the Manipur Chakra / Solar Plexus Chakra is fire, so taking a walk into the sun, sunbathe, sitting in front of the campfire is very helpful. The main function of Manipur / Solar Plexus Chakra on a physical level is digestion and assimilation of nutrients, but on a subtle level, a healthy Manipur Chakra also helps you to digest the every experience of life, good or bad, in a healthy way and also assimilate and integrate every experience in a positive way. thanks for showing interest in karmic healing. Every soul is ready to be born on earth to perform some specific task. The earth is the school for such experiments and every soul is ready to learn his lesson and for that the soul is ready to face pain and excruciate. Every soul has to complete his task and complete his contract. You can easily go to your original nature by karmic healing.